& know they will help the Environment? If possible, I would like to get the Basic H2 (I believe it's called) - one for myself and one for my sister. I'll also pick up the spray bottles for her. I really want her to try it. I can't believe how this stuff works. My glass tabletop and windows have never been so clean. If you didn't know any better you wouldn't even know there was a glass door leading out to the balcony. My (kitchen) backsplash is black shiny tile and WOW! with no effort at all, it gleams. I just want to share this with you I just got a phone call from a client of mine who was at the GetClean presentation she perches the GetClean Kit and is so happy, she used the Scour off on her bathroom tiles in the shower, she said she has never seen them look so shinny and clean that was a great testimonial for me to share. She also loves the other GetClean products she just asked me to order her some more clothes and bottles so she can keep some upstairs. GUESS WHO’S USING SHAKLEE’S EARTH FRIENDLY PRODUCTS? … the White House and the Vice-President’s House is using Get Clean. Did you know that Shaklee Basic-H is the only All-Purpose Cleaner ever endorsed by the Official Earth Day Committee, and Shaklee has won every major environmental award on the globe. Are “GREEN” Products truly Green? TerraChoice Environmental Marketing, a company that investigates authenticity of earth-friendly claims, stated that an astounding 99.9 percent of “so-called green products” make false, misleading or unsubstantiated claims. Companies have become so adept at making themselves and their products look environmentally friendly that the practice has its own name … “greenwashing”. TerraChoice investigated over 1000 green products sold in North American stores … and found that all but one made unsubstantiated, misleading or false claims. 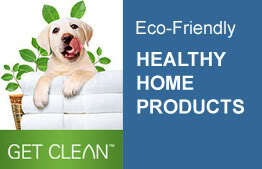 Shaklee GET CLEAN Products are SAFE, POWERFUL, TRULY GREEN and SMART! NEW product in Shaklee Canada: Basic G … (germicide cleaner) a one-step cleaner, sanitizer, disinfectant, and deodorizer that leaves no medicinal or chemical odours. One quart makes 64 gallons of germicide that has been proven effective against a wide range of bacteria, fungi, and viruses. It helps reduce the chance of cross-infection and is GREAT for cleaning and disinfecting bathrooms, kitchens, garbage pails, toys, animal pens, and for killing athlete's foot fungi on inanimate surfaces like shower stalls. Has a residual effectiveness up to 3 days after application! Nature Bright … Use it to brighten clothes AND remove stains! Wet the area, sprinkle with Nature Bright … rub the Nature Bright into the stain and let set for a short time. Re-wet and scrub the stains away … Clinically proven to be 50% more effective than Oxiclean. Camping: Basic-H2 is all you need for dishwashing, laundry, and other cleaning jobs while camping. It works in cold water … it is organic and biodegradable, and won’t hurt fish, vegetation or wildlife. Barbecue Grills and Ovens: Mix 2 oz. of Basic H2 per gallon of water for a super degreaser. Wash and then scour with Get Clean Scour-Off Heavy Duty Paste for a super easy cleaning of the dirtiest BBQ grill. Greasy Tools: Just 2 oz Basic-H2 per 1 cup of hot water. Soak tools … then rinse and wipe dry. Fish Odours: Got some messy fish odours to clean up? Then use ½ tablespoon of Basic-H2 per quart of water to clean up after filleting your fish, or around boats, docks or other fishy places. A GREAT GIFT ... GREEN TOXIN-FREE CLEANERS FOR YOUR HOME! Wendy shares the following ... “We are so thrilled with the cleaning results of Shaklee products for carpet cleaning, and there was absolutely no smell or toxic effects! Last time we had our carpets cleaned, we were offered to have them cleaned by our land lord ... what a big mistake!! We were sick for 2 days after, the smell was so toxic, and my dog developed temporary arthritis! I would recommend this Shaklee carpet cleaning mix of Basic H2 and Nature Bright to anyone, and it was so cheap! I have a great testimonial from my daughter Beth. She spilled red wine on her car seat, don’t ask how she did that! It was two days old and she sprayed it with Basic H, dabbed it, no rubbing, and it came out.